If you travels to the Mekong Delta province of Dong Thap and inquire about the name Bui Viet Tich or Hai Tich, plenty of people will tell you about his glorious military service during the revolutionary period, specifically in the southwest battlefields where he served as Chief of Staff for the 207 Regiment. 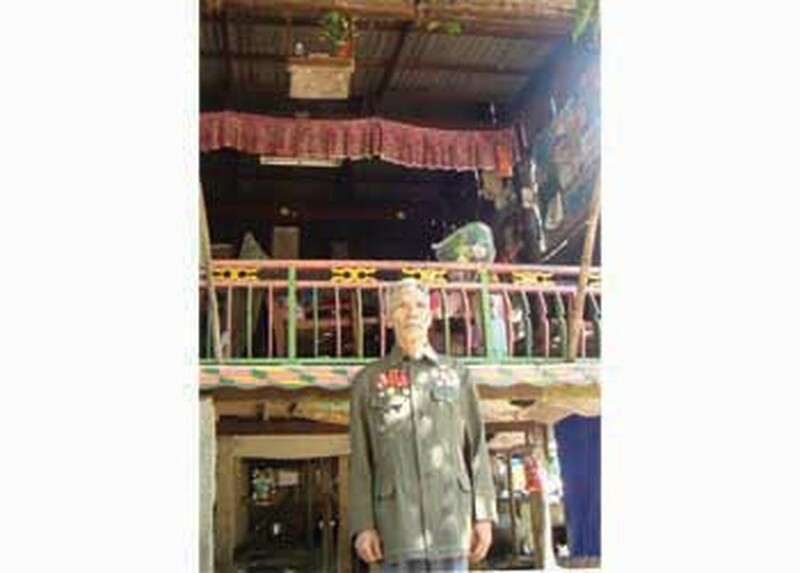 Still receiving visitors, the 73-year-old man jubilantly invited Sai Gon Giai Phong reporters into his home, a simply tottery house set on stilts, lying along the southern waterways. “In spite of poverty, I still feel happy to live in peace,” Mr.Tich said. Going through the two wars against the US invaders and French Colonialists, Hai Tich knows well, the sacrifices that allowed for victory and peace. 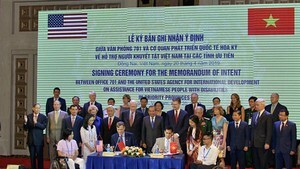 Tich came from the northern province of Hai Duong. When he was 20, he joined the army. Three years later, he completed the military mission and returned to his hometown to work in a factory, he said. When the US invaded southern Vietnam in 1954, Tich re-enlisted to protect the nation, tasked to train soldiers at 338 Division in the northern province of Thanh Hoa. After completing each training course, he took new soldiers to the southern central province of Quang Tri to supplement the fighting forces of the southern battlefields. Looking at young soldiers put on backpack to travel south, he wished one day that he would also have the opportunity to cross the glorious Truong Son Mountain range and fight for his nation’s liberation. In early 1967, he received orders to move south to fight, causing him endless happiness, honored to accept admittance to the Central Party Committee. “At that time, coming to the south to fight was the biggest source of pride for a soldier,” Tich recalled. After receiving orders to cross Truong Son, the army secretly traveled through forests and streams, moving all day and night, fighting enemy soldiers on their way south. It is impossible to describe the miserably difficult conditions Tich and his comrades faced as they crossed Truong Son. They not had to contend with enemy soldiers, but also battled malaria and had to make due in light of severe shortage of everything, he said. “Several soldiers lied downed on the Truong Son range. However, those of us still alive were still determined to keep going,” he said. After many months of arduous journeying through the Truong Son range, he and his comrades were present at the southwest battlefield by the end of 1967. Since then he experienced days with great hardships, making him a true southerner. Hai Tich considered the land imbrued with his own blood and that of his comrades as his second native soil where each canal, river’s wharf and fruit garden felt the impact of his footprints. Many battles provided him unforgettable memories. For instance, the battle at Tam Cot Pagoda, which took place on the border between Vietnam and Cambodia that lasted from 8am-5pm on October 17, 1972 when he and his Vietnamese comrades were vastly outnumbered by the powerfully-equipped US troops. The US army poured lethal chemical weapons into underground hideouts, killing all of his comrades. Only he survived, knowing he would continue fighting until his final breath. In fact, he fought until his supplies were limited to one sole grenade, which he cast out of his hideout at an enemy sortie, making a possible escape from the blockade erected by US forces. After hearing the grenade explode, he jumped out of the hideout, crept onto the battlefield and quickly ran forward before hearing a deafening explosion that caused him to lose consciousness. A moment later, reinforcements arrived and discovered that he was still alive. In the Ho Chi Minh Campaign, which began in late 1974, he participated in liberating My Tho town of Tien Giang Province. In 1982, he left the army and resumed his civilian life. Now, 73 years old, his wounds are still smoldering, but he still typifies the virtues of an Uncle Ho soldier, persevering to overcome difficulties, living harmoniously beside his fellow compatriots and is full of affection and gratitude.